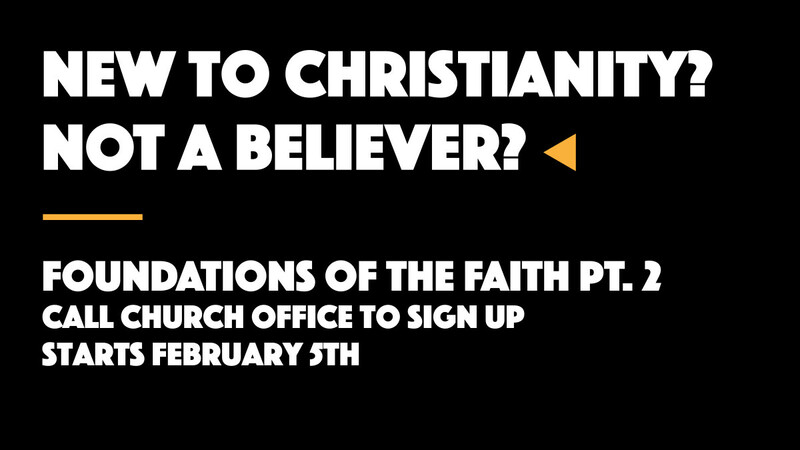 If you are newer to Christianity, not yet a believer, or have come from a different church background, Pastor Rick will be teaching a Foundations of the Faith Part 2 course on Tuesday evenings in his office from 6:30PM-8:00PM. As part of our Calvary Discipleship Pathway, please note that we are restricting this course to keep the learning environment comfortable for those still unsure of core Christian beliefs. Please contact the church office at (905) 433-2960 or to register for the course. Course runs from February 5 to March 26.